Hi all! I hope you are enjoying the summer. It is going by so fast! Personally, I am looking forward to fall too though. It is my favorite season :) Which made the challenge at Time Out a lot of fun for me now. The challenge is Autumn with the optional twist of speed stamping. So I had every intention of timing myself and making this card quickly. Unfortunately, I got distracted almost immediately and walked away so I honestly don't know how long it took me total to make this :/ I used the stamp set from Essentials by Ellen - Thankful and stamped several of the stamps in fall colors randomly. Then I stamped the sentiment and flower stamp with versafine ink and embossed it with clear ep on a strip of vellum. I trimmed the stamped panel down and wrapped the vellum around. I layered that on some design paper and added a few sequins. 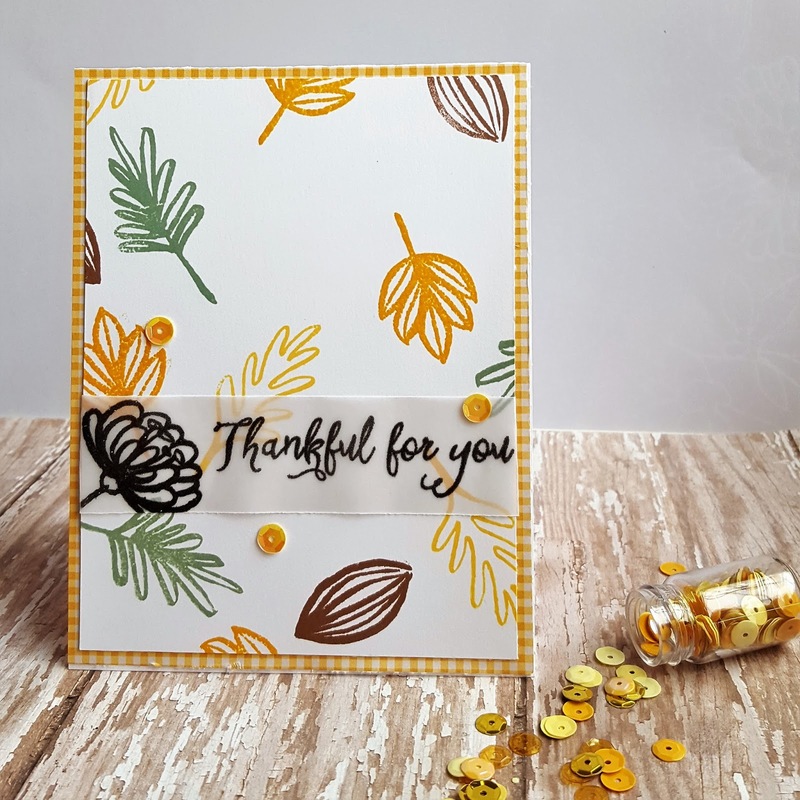 A fun autumn card! Love the way you used the vellun! Thank you for joining us at TIME OUT!